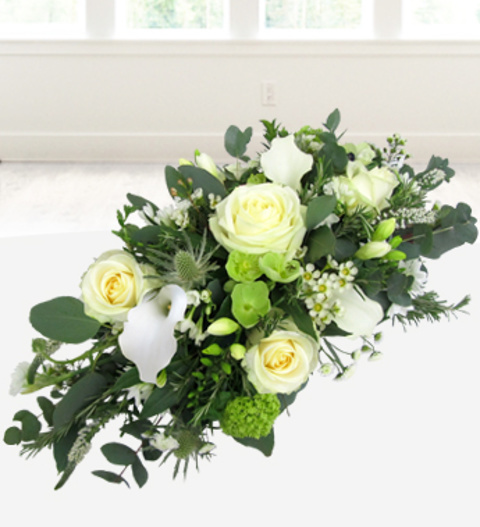 A classic spray with avalanche roses beautifully presented in a memorable fashion. This spray also contains sweet smelling white Oriental Lilies and lush forest fresh greens. All funeral arrangements are hand delivered direct to the funeral. Delivered by a florist, UK Funeral Flower delivery.